As you might know, I'm now on the iPerceptions' Advisory Council. 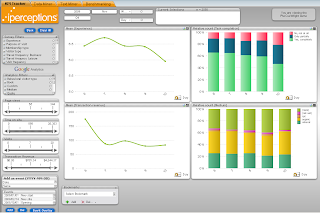 In this role, I had the opportunity to get an insider sneak peak at the new A&B Interactive Dashboard. 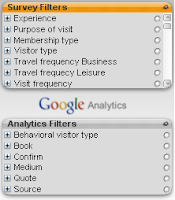 While Google Analytics provides valuable information such as source of traffic, campaign performance, visits, page views, goals and ecommerce data, it is up to the analyst imagination to figure out user intent and satisfaction. On the other end, voice of customer, iPerceptions webValidator enterprise-level solution in this case, offers a different angle on the same situation. Basically, behavioral data alone cannot accurately judge satisfaction, while attitudinal doesn't provide the event-driven data. 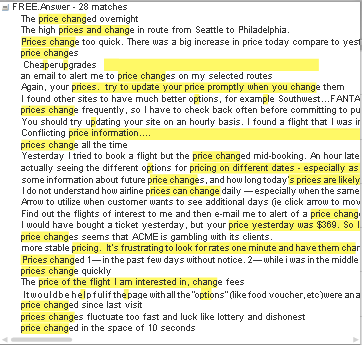 If someone books a flight, does it mean this customer was satisfied? If he or she didn't book it, does it mean he or she was dissatisfied? The Eye for Travel site, which offers specialized news & analysis of the travel industry, recently talked about this very topic: "Web analytics data alone cannot accurately judge satisfaction". Fellow Web Analytics Association Board member Vicky Brock puts it very simply: "context is everything and part of that context comes from the visitor themselves". Let's deep dive in a real example. 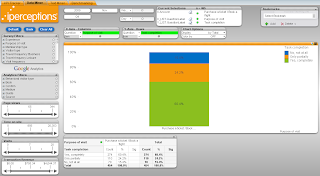 The KPI Tracker view can easily be customized. 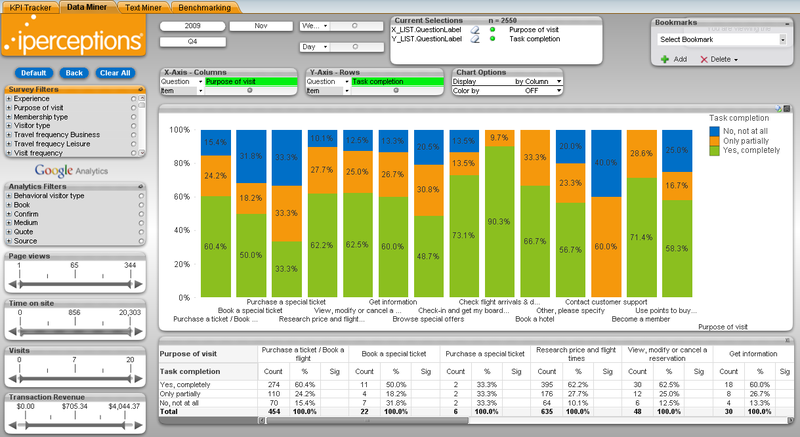 In this example, the top-right area shows the Task Completions compared with Overall Experience (top left), Average Revenue per visit (bottom left) and Medium (type of traffic to site – CPC, Organic, Referral, etc). 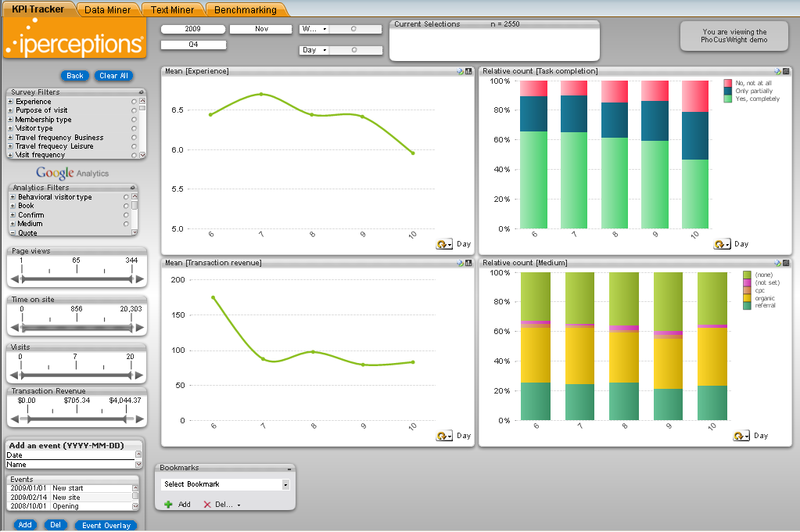 The dashboard shows two attitudinal and two behavioural metrics together. 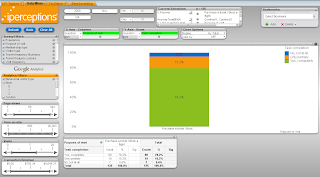 Whenever you apply a filter using the left-side controls, all KPIs are updated in real time. Really cool! 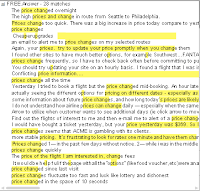 At this step, we are more interested in the task "Purchase a ticket/Book a flight", so we simply click on it to drill-down. Note that we are still just looking at attitudinal data, that is, the Voice of the Customer survey answers. Now, we want to look at task completion from a business perspective. 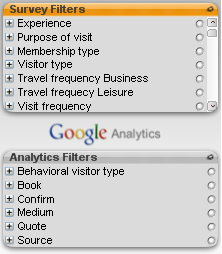 In this scenario, Google Analytics was configured with specific Goals to track the important steps of the flight booking process. We are particularly interested in "Step 2: List of Available Flights". Notice how Task Completion for "Not completed" and "Only partially" shrank from 39% to 20%. What does it tell us? Basically, that 80% of those who reached Step 2 of our conversion process actually achieved their purpose of visit. Viewed this way, it's 80% conversion rate! Pretty good isn't it? Even if we didn't convert (from a financial perspective) this time, we helped our customer in his/her purchase decision process and the likelihood of conversion, even if not this time, is high. 5) Text Miner: listen, I'm talking to you! So far, it's all good. But there's something all this data doesn't reveal: the humans behind the numbers. And that's exactly where real human feedback comes in. 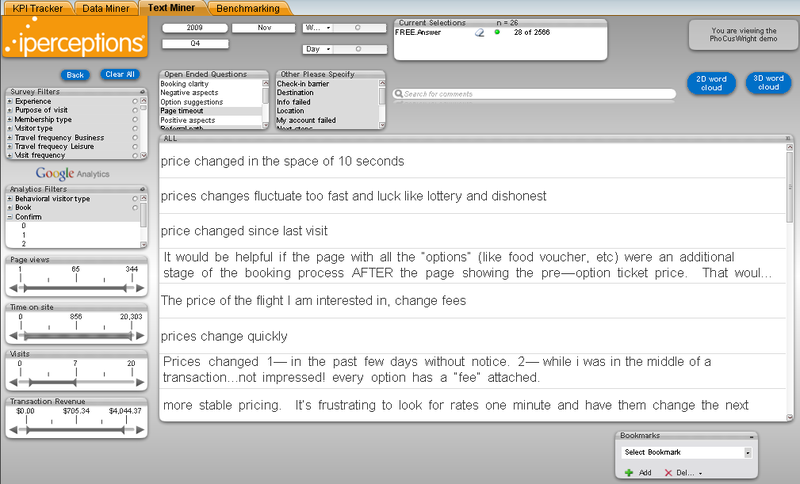 You can use the same slicing & dicing, segmenting and filtering to extract the most pertinent comments. You can even use regular expressions to filter the comments. You can also turn high volume of contextualized comments into word clouds to get a different perspective! A&B doesn't stand for the usual A/B testing acronym, but for "Attitudinal and Behavioral". That is, merging the "what" provided by traditional clickstream (behavioral) tools such as Google Analytics, and the "why" (attitudinal) expressing your visitors intent and satisfaction, such as provided by the free 4Q or the high-end enterprise webValidator solution. You might say this has been done before, and you are certainly right. However, it has never been done in this way - with this level of insight. Basically, I think it's a game changer in the online analytics market. iPerceptions isn't new to customer satisfaction surveys, before founding the company in 2000, they had years of experience in more traditional survey methodologies. Beside asking the right questions, there is also a significant methodological and scientific approach to interpreting and understanding the data. Until now, behavioral and attitudinal were two siloed set of data trying to explain the same phenomena. The "multiplicity" put forth by Avinash and "persuasion architecture" from Bryan Eisenberg boils down to a pretty simple concept: matching user needs & expectations with online optimization and good business practices. Up until now, there was no simple way to combine behavioral and attitudinal data without a tremendous amount of effort. 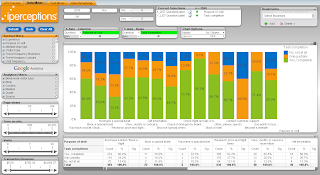 A&B Interactive Dashboard is very easy-to-use yet extremely powerful data exploration tool that gives an unified view of different datasets.